52 Canoes is our very own version of ‘Paradise in the City’. With comfy couches, a menu full of crazy cocktail concoctions and a PolyMexiCana food menu to make your mouth water, our little Tiki den will make you feel like you’re on holiday even on the gloomiest of Scottish days. We are both child and dog friendly with entertainment for all ages every night of the week with enough games and crayons for every table if you’re in a playful mood, rum clubs, live bands & DJ’s and the craziest pub quiz in Edinburgh. All of our produce is locally sourced with great quality food at real value for money prices, incorporating a Scottish base into a menu mashed with Polynesian, Mexican and American influences. 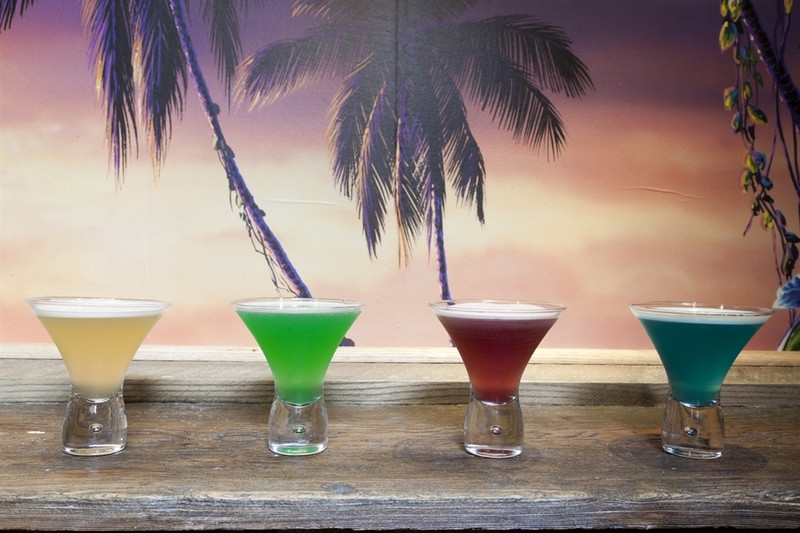 Our cocktail menu is one of the best in town, with 52 choices (see what we did there) ranging from tiki favourites, carnival inspired originals (skittles infused rum anyone) to something a little bit more serious for lovers the classics. If there is something that is not on the menu that you would like, don’t hesitate to ask our friendly staff. For those who love rum, we officially have the biggest rum collection in Scotland with more than 200 bottles from all over the world.